There are a lot of services these days that let you store files in “the cloud” and access them from virtually anywhere. These services are extremely handy, but what if you need a mobile operating system as well? Today we take a look at a couple of online operating systems that let you store your files and work on them as well. 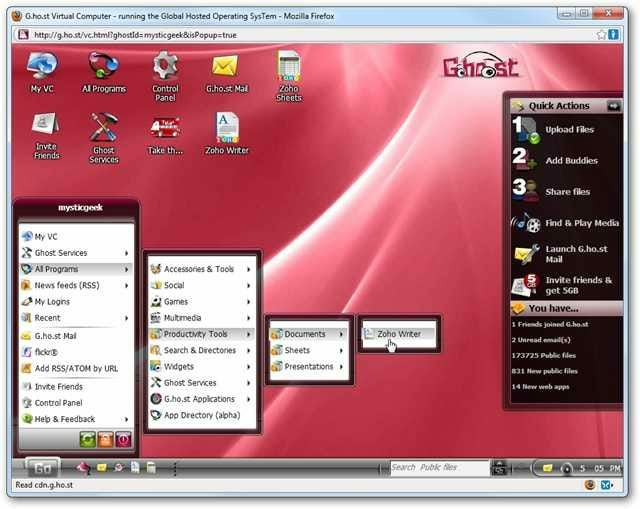 Online operating systems are a good solution if you have say a Mac at home and PC at work. Or maybe certain features of Windows aren’t available on different machines you work on during the day. There are a lot of different scenarios where an online operating system could come in handy. Here we take a look at two such apps which have a lot of functionality and are free to use. This is a worthy free Web OS that gives you 15GB of storage and offers an office suite (powered by Zoho), sharing and collaboration, and access to your documents on a mobile device. 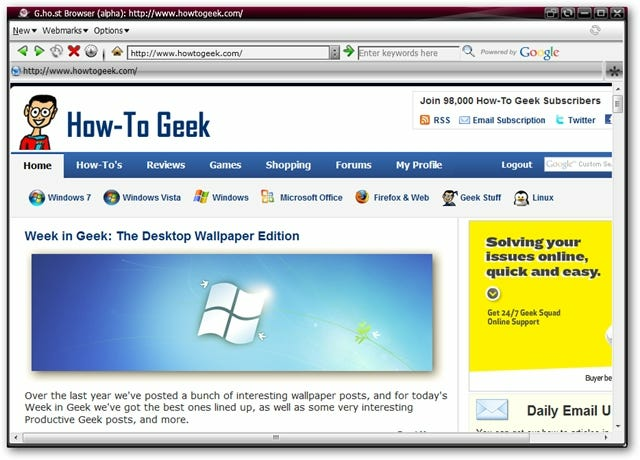 The OS runs in a separate window of your browser and has a lot of neat functionality. Everything you do is saved and will be exactly the same no matter what computer you use to log into your account. 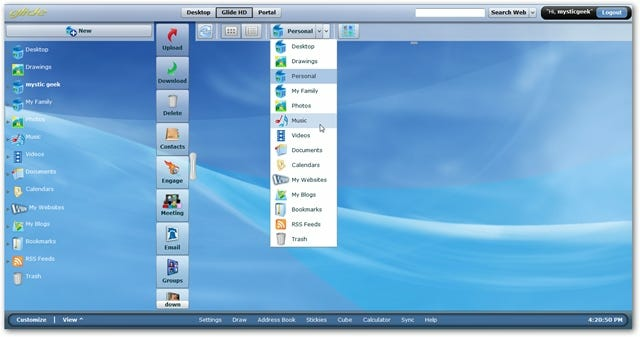 The Go button acts like the Start menu on Windows and gives you access to all of the available apps and other utilities. You can upload individual files, use the bulk uploader to transfer folders and large amounts of data, and they also offer a sync feature that will keep data on all of your machines and the G.ho.st OS synchronized. Another cool feature is getting 5GB of extra storage space for each friend or colleague you get to sing up for the service. They offer the internal G.ho.st web browser which you could use as a security tool if you want to visit less than reputable sites without affecting your actual system. It’s not all business either. 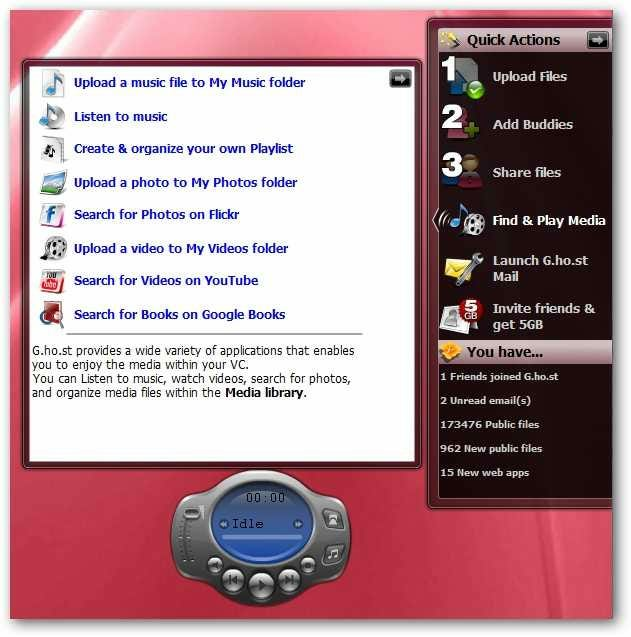 There are some fun utilities included like a music player, it’s own email system, and links to social sites and games. 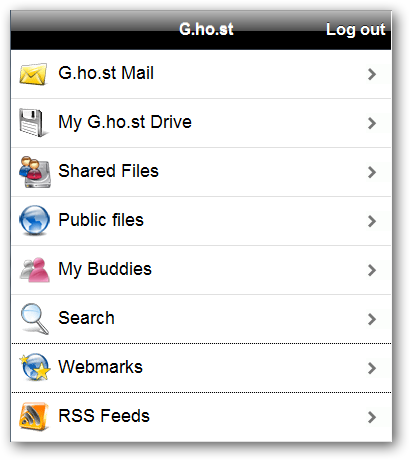 G.ho.st Lite lets you access your documents and basic features from your mobile device. The next one we’ll take a look at is Glide OS which offers a free account and has 20GB of storage and up to 6 different users. It offers a lot of the same functionality of G.ho.st with their own unique interface and other features. 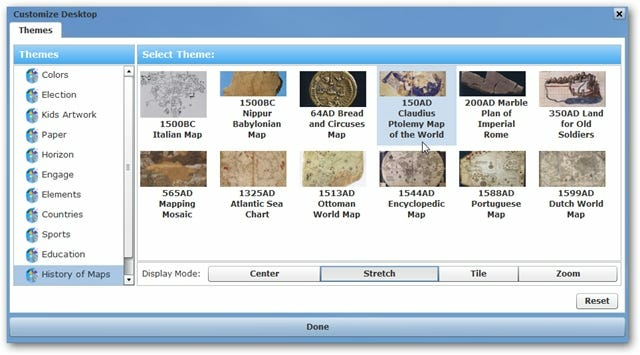 You can change the layout to Glide HD which allows easier navigation to the different services and features. 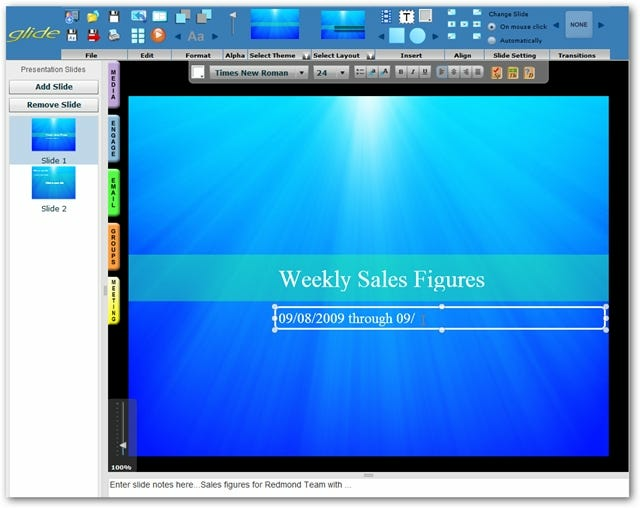 There are different available office features that allow you to create documents and presentations and collaborate with others as well. 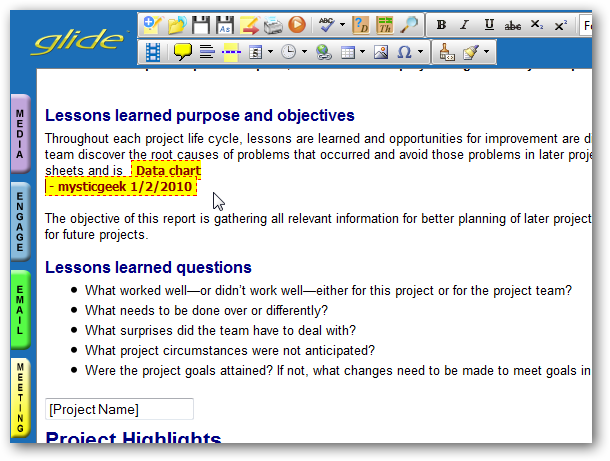 Here is an example of working on a Word document inside Glide OS. You can go through different themes and customize your desktop. Other advantages of a Web OS are there is nothing to install, no Antivirus to worry with, and files and documents are available anywhere you have a web connection. Also you don’t need to worry a whole lot about a machines specs, but rather the speed of your Internet connection. There are a few other online operating systems to choose from like iCloud, and each one has different features. You might want to try each of them out to find the one that suites your needs. If you’re constantly moving from computer to computer to get work done, you may want to check out a Web OS. If nothing else, they are geeky and fun to play with.